Jan'Taijah Ford is ready for her breakout postseason. The Oakland Park Northeast junior, currently ranked US No. 3 in the 400 meters, was only a freshman when she was invited to Brooks PR for the first time, finishing second overall in the open quarter. But the three-time Florida state champion never got a chance to redeem herself in 2017, and there's a very good reason for it. "We wanted her to refocus in the classroom and that was the main reason why she didn't run after the season last year," said Damion Thomas, Northeast's 41-year-old co-head coach who works alongside his wife, Duchane. The Thomas' knew that for every immediate success Ford had on the track, there was an equally important balance she had to make in the classroom to make sure that promising future continued beyond high school. So they pressed Ford to concentrate on her schoolwork alongside training, which eventually led to successes in the SAT. As a result, collegiate programs such as Georgia, South Carolina, Southern California, Miami, Florida and Texas A&M are all lining up for the junior's services. A year later, Ford is back on the track with a handful of opportunities beyond state, beginning first with Flo Golden South on May 15 at First Academy in Orlando. She comes in as the top seed in a stellar field that includes Jatana Folston, Ramiah Elliott and Kasia Cooper. Beyond that, however, Ford's main focus is to run well in June at the USATF Junior Championships, which is a qualifier for the U20 World Championships in Finland in July. She booked a nation-leading 52.82 time in February at 400 meters and is coming off her second fastest effort of the season -- and career -- this past Saturday at state, where she went 53.19. She also finished third in the 200m in 23.69. "Her attitude and mentality this year has been much different than last year," said Duchane Thomas, who works primarily with Ford. "She's gone out and executed her races, even if it meant she would have to experience pain. And this year it was more about time than it was about winning." Ford could have competed against any of her national peers after the state championships in 2017. 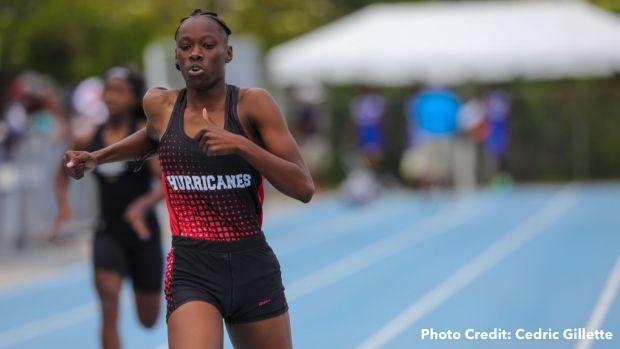 A star sprinter in Florida since the eighth grade, she won her first 400m title as a freshman and has followed in that tradition every year since. She posted a 400m time of 53.77 in 2016, registered an effort of 53.90 as a sophomore, and had a breakthrough as a junior, posting four times under 54 seconds, including her career best at the Louie Bing Classic. "When she dropped that 52, to us we weren't surprised," Damion said. "Because we felt like she should have run 52 last year. She would have run 52 had she continued last year." It's taken some time, though, for Ford to really hit her stride. Part of that, Damion said, has included getting her in the right races. Ford's biggest performances have come against Florida's top competition. Louie Bing was a two-day meet where athletes had to execute during rounds. Qualifying for regional and state action also drew intense focus. "She hasn't lost a race since the ninth grade," Damion said. "Which means, in some races she got comfortable and raced to win. But at the beginning of the season, she was trying to establish who she was, and she was facing the top quarter milers in the state." Duchane said Ford's biggest hurdle has been pushing through the toughest part of the 400m. One of her key workouts this season has been 2x450 at 57-58 pace (through 400m) with seven minutes rest followed by 2x200 at 27 seconds. In the lead up to Louie Bing, the Thomas' also put Ford in a 600m and 800m race for speed endurance. "It forced her to push through fatigue," Duchane said. The pair have also encouraged Ford to step on the gas earlier, rather than waiting to turn the corner in the final 200 meters when fatigue could set in. "One of the things we wanted her to do this year is to be able to move her arms more forcefully in the final 100 meters," Damion said. "When she finishes a race, she sometimes gets lazy on the arms." It's no surprise that Ford, who's also ranked US No. 8 in the 200m, has had her best year yet. "You raise the standard, you raise the bar, you let your kid believe they can and you hope it happens," Duchane said. Interestingly enough, Ford is also teammates with Briana Williams, Northeast's sophomore phenom and a Jamaican youth international. The high school tandem trained together when Ford was an eighth-grader and Williams was in seventh-grade. But today the duo doesn't work together in the traditional sense. Damion and Duchane primarily work with Ford, while Williams trains exclusively with Olympian Ato Boldon. Damion says it's a seamless pairing. He communicates with Boldon all the time. "It's been a pretty good situation," he said. Ultimately buoyed by that duo, Northeast grabbed a second-place team score in the Class 3A championships with 71 points, just behind perennial powerhouse Miami Northwestern (119). Now it's on to the big-time races. While Williams looks to qualify for Jamaica's U20 squad in the 100m and 200m, Ford will have her work cut out for her in the 200m and 400m. 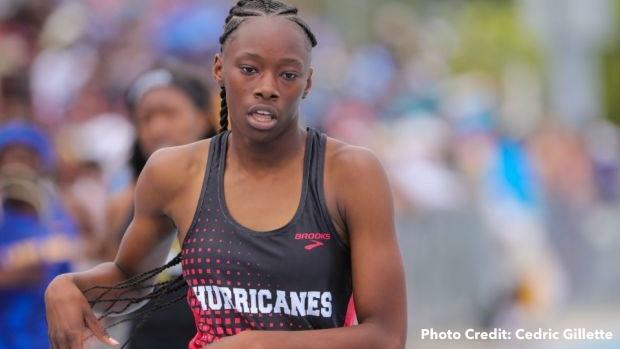 She's headed to Flo Golden South, then Brooks PR, then USA Juniors. But Damion doesn't see her racing slower than 53 from here on out. "She wants to get under 52 and wants to run 22.9 in the 200m," he said. "That's her ultimate goals in high school, and I believe she can do it."